Spanish manager Unai Emery was coy in his response to questions regarding of Aaron Ramsey’s future at the club. 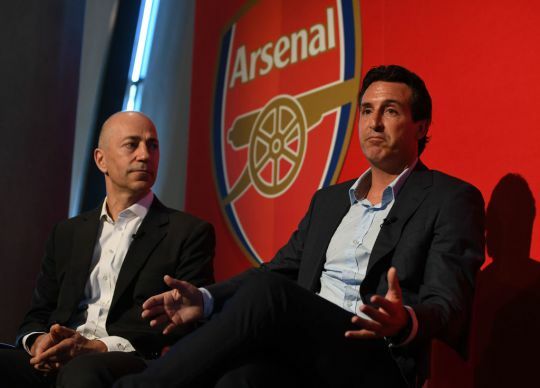 Speaking to journalists at his pre-match press conference, as reported by the Evening Standard, Unai explained that in his eyes, every player is an important part of his team. Reports appeared earlier this week that suggested that Wales international midfielder was set to depart from the club this summer. With just months left on his deal at the club, it is now being reported that Arsenal could cash in on the midfielder to avoid losing him for nothing at the end of the season. Juventus, AC Milan, Chelsea and Liverpool have all been connected with a move for the player in the past. Ramsey will be free to speak to possible suitors about a move abroad in January should he wish to run down the remaining months of his contract at the club.